Alan Gorrie (bass, guitar, lead & background vocals), Hamish Stuart (lead guitar, bass, lead & background vocals), Roger Ball (keyboards, alto & baritone saxophones), Molly Duncan (tenor saxophone), Onnie McIntyre (guitar, guitar solo, background vocals), Robbie McIntosh (drums, percussion), Ralph MacDonald (congas, percussion), Michael Brecker (tenor saxophone), Randy Brecker, Marvin Stamm, Mel Davis (trumpet), Glenn Ferris (trombone), Ken Bichel (mellotron). 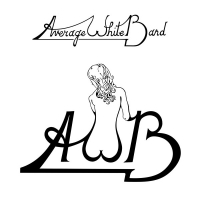 Average White Band is synonymous with all things great about the fusion of soul, rock & jazz and making it one of more successful recipes that brought this amazing Scottish band to the forefront of the music scene in the mid '70's. With a helping hand from friend Eric Clapton, AWB were brought to the attention of the folks at Atlantic Records and the rest is music history. In 1974 their debut Atlantic LP Average White Band, sometimes referred to as The White Album, took the world by storm with the funk dance floor smash "Pick Up The Pieces". In a rapid pace, the legendary tune brought the single and the Lp to the top of the American charts. Led by the fine lead vocals of Alan Gorrie (bass/vocals) and Hamish Stuart (guitar/vocals), the debut LP was filled with more great funk anthems like their tribute to The Isley's with "Work To Do", the brilliant soul Stuart/Gorrie masterwork "Person To Person" and of course Gorrie's stellar "There's Always Someone Waiting". Funk reigns to this day as AWB's sound has captivated the hip hop and rap world with their awesome beat and rhythms associated in their diverse catalog. They continue to be one of the most sampled bands in history as this incredible album is a catalyst to this celebrated music genre.